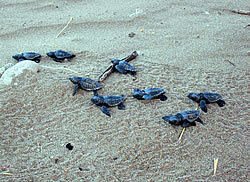 The nesting beaches of the loggerhead sea turtle (Caretta caretta), on Zakynthos island, the Peloponnese and Crete. You will be monitoring the nesting activity, protecting nests and hatchlings and contributing to public awareness actions in the major breeding sites in Greece and the Mediterranean. 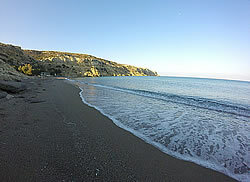 These beaches have been monitored by ARCHELON for the last 30 years and continuation of conservation efforts is vital. Projects run from May to September every year. The Sea Turtle Rescue Centre in Glyfada (a suburb of Athens), on the sea side. 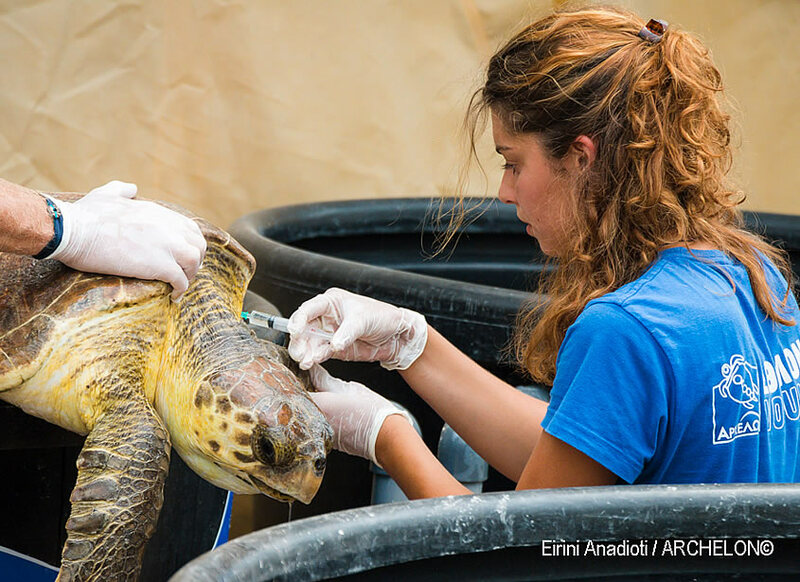 You will be participating in the daily operations of the Centre, which is receiving injured and sick sea turtles from all over Greece for treatment and rehabilitation. Fully recovered animals are released back to the wild. ARCHELON’s Rescue Centre was established in 1994 and has a year round rescue, rehabilitation and public awareness activity. The shallow waters of Amvrakikos Bay and the beaches near Preveza, in northwestern Greece. 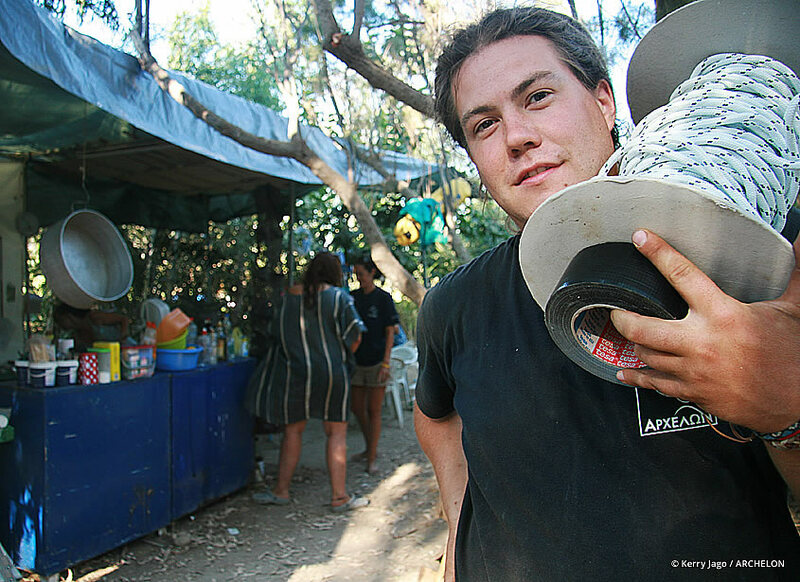 In Amvrakikos Bay you will be monitoring and collecting data from an important sea turtle “feeding ground”. The turtles are ‘captured’ using the ‘rodeo’ technique from a boat, they are then measured and examined, and finally released all within a few minutes. 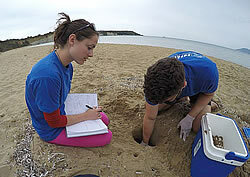 On the beaches of Preveza you will do surveys for nesting and nest protection. The project runs from mid-June to mid-August every year. A longer stay of volunteers contributes greatly to the success of projects. Returning volunteers are welcome to our projects as they enhance team performance with their experience. Internships for many academic fields can be arranged for all projects. A combination of participation in more than one projects is possible if the duration of stay in each of them is 4 weeks or longer. Opportunities for family volunteering are in place at 4 nesting beach projects. A valid driver’s license greatly contributes to the functioning of the project. We will respond to your application within 10 days. English is the language used in all the projects. Any knowledge of other languages and useful skills will be appreciated. 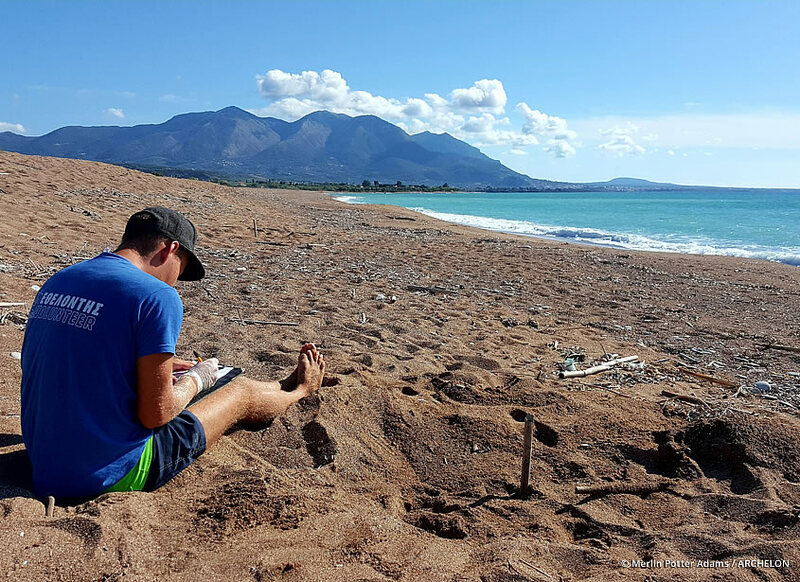 A specific number of volunteers with excellent knowledge of the Greek language is needed for the nesting beaches projects. No particular prior experience or knowledge on sea turtles is required. 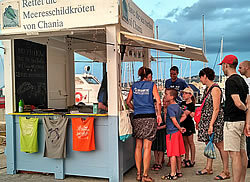 Volunteer participation fees cover administration and training costs, accident insurance coverage (up to a limit), annual subscription as ARCHELON supporter and in most cases include accommodation costs. Our cancellation and change of date policies are described in the Overview table of all volunteer projects, categories and participation fees which is valid for participation after 1/1/2019. 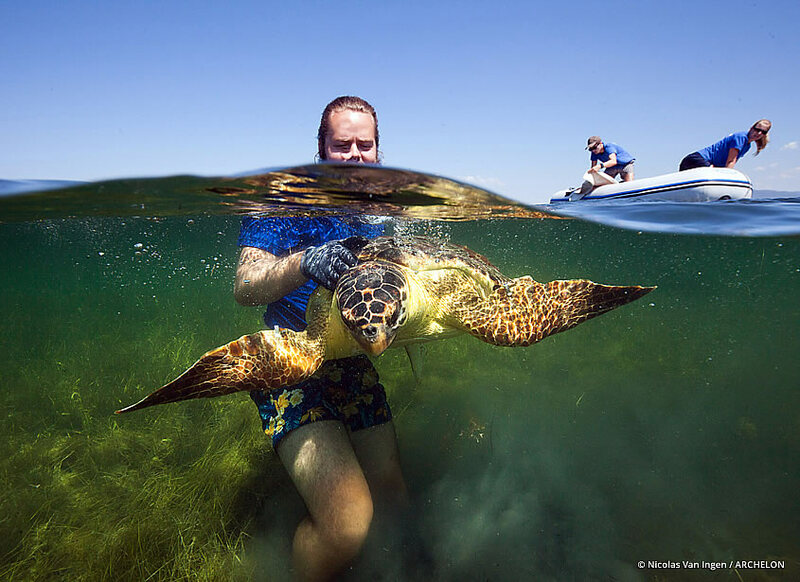 Join the Sea Turtle Rescue Centre. Get a close up interaction with these amazing creatures and help them to rehabilitate and return back to the sea. Protect the nesting activity of the loggerhead sea turtle by joining ARCHELON’s sea turtle conservation program in Kyparissia. 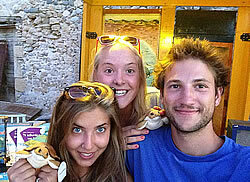 BECOME A VOLUNTEER and save the sea turtles in the beautiful beaches at Lakonikos bay. 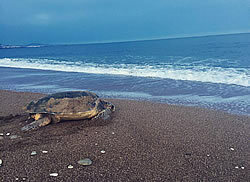 Protect the nesting activity of the loggerhead sea turtle (Caretta caretta) on the beaches of Koroni, in the southwestern Peloponnese. 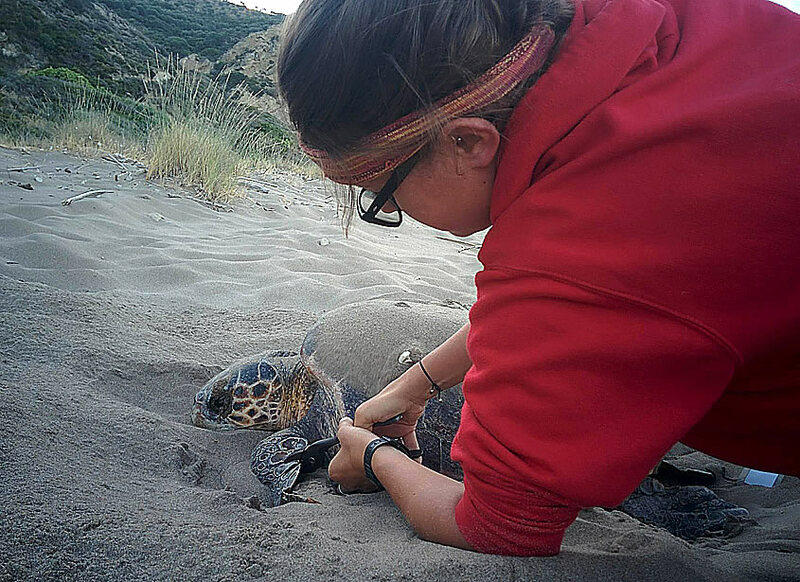 A unique opportunity to (1) have direct contact with sea turtles as part of an on-going research project to protect them and this distinctive natural environment, and (2) take part in a new research project on nesting activity on beaches in western Greece. Protect the most important nesting area of the loggerhead (Caretta caretta) sea turtle in the Mediterranean. 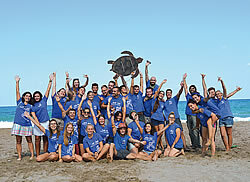 Protect the nesting activity of the loggerhead sea turtle by joining ARCHELON’s sea turtle conservation program in Rethymno. 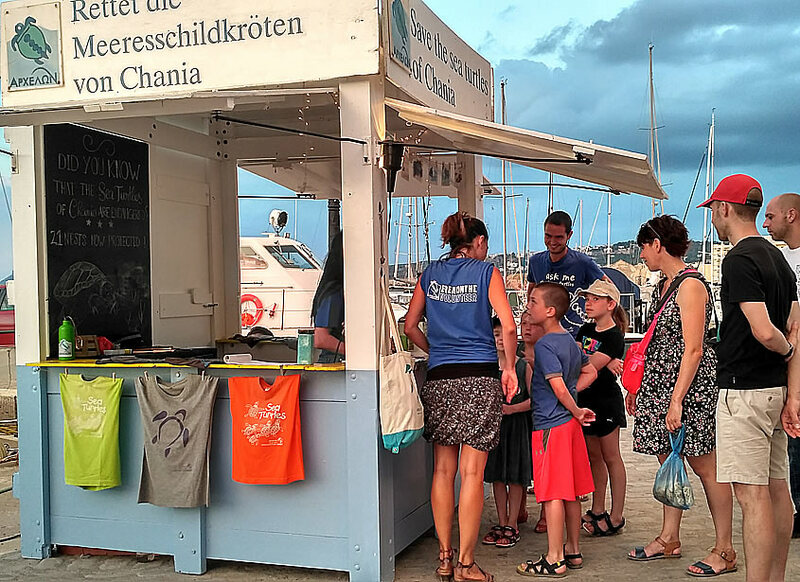 Protect the nesting activity of the loggerhead sea turtle by joining ARCHELON’s sea turtle conservation program in Chania. Protect the nesting activity of the loggerhead sea turtle and its habitat in the bay of Messara, southern Crete, by joining ARCHELON’s sea turtle conservation program.